Remi De Roo, Remi De Roo: Chronicles of a Vatican II Bishop (2012). Subsequent revelations, a court judgment, and a Globe and Mail investigation in 2005 would ultimately exonerate De Roo and redistribute the blame. But the damage was done. To the delight of reactionary right-wingers in the diocese, who had always resented the outspoken bishop’s advocacy of Vatican II causes, one of the most celebrated progressive voices of Roman Catholicism in this country was unceremoniously booted off his pedestal. De Roo spent the first five years of his retirement being trashed in the media as a bumbling leftist incompetent; a fiscal know-nothing who, in keeping with popular neo-con mythology, could no better balance a chequebook than an NDP government could balance a budget. 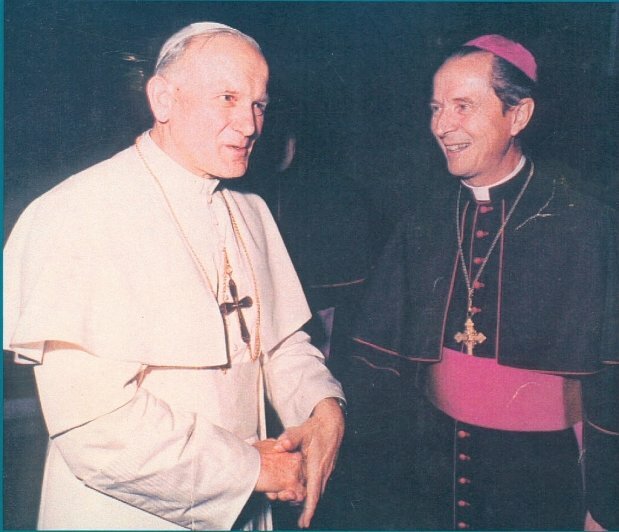 Pope John Paul II (l.), Bishop Remi De Roo (r.). If De Roo has any residual feelings about those who undermined him during the “Laceygate” scandal, they are likely feelings of sadness for his two successors in Victoria. 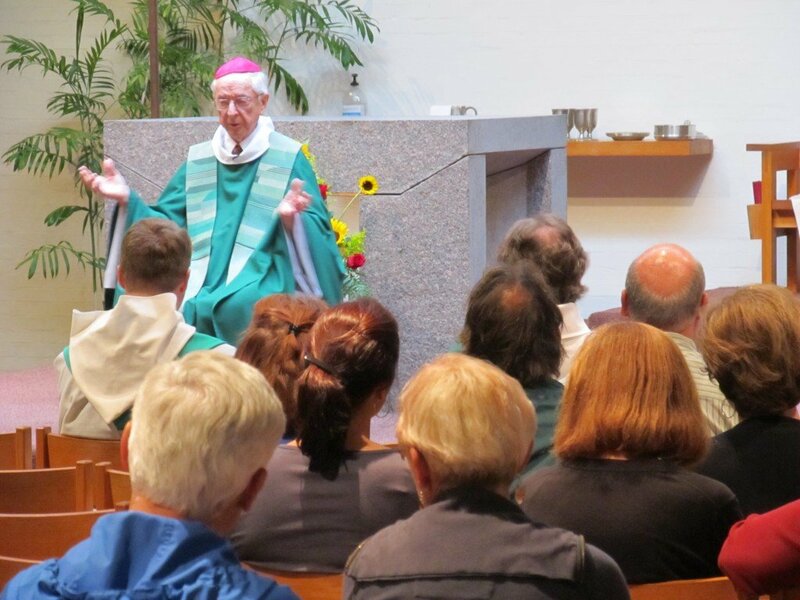 By 2004, as the diocesan debt continued to mount, Roussin was re-appointed after only five years on the job and named archbishop of Vancouver. But that appointment also lasted only five years: wracked with depression, Roussin retired from church ministry. “One day in 2005, I woke up trembling,” he told Vancouver Sun religion reporter Douglas Todd, two years before packing it in for good in 2009. “I started crying and didn’t know why. I couldn’t get out of bed. I dreaded coming through this door.” Could part of Roussin’s depression have been rooted in a crisis of conscience (aka “Catholic guilt”) over his handling of the financial crisis and his failure to speak up for De Roo, his erstwhile mentor, during the media feeding frenzy? Only he could say for sure.